More and more companies are turning to LinkedIn to find the perfect candidates. In fact, 93 percent of hiring managers search this professional social network for potential hires, according to MarketWatch. This means your LinkedIn profile is an important piece of real estate, regardless of whether you’re searching for a job right at the moment. According to LinkedIn, one in five hiring managers have hired someone because of their volunteer experiences. Volunteering shows that you’re compassionate and have accomplished things outside of your industry and career path. It also shows you’re willing to spend time doing something that doesn’t directly benefit you, and many hiring managers count it as a form of job experience. However, it’s not enough to say that you participated in some volunteering initiative. Specify the organization you volunteered with, the cause your worked for, and your role (e.g., team leader, organizer, etc.). Showcase all your volunteer work on your profile, both big and small, even if it was done with another company you worked for. 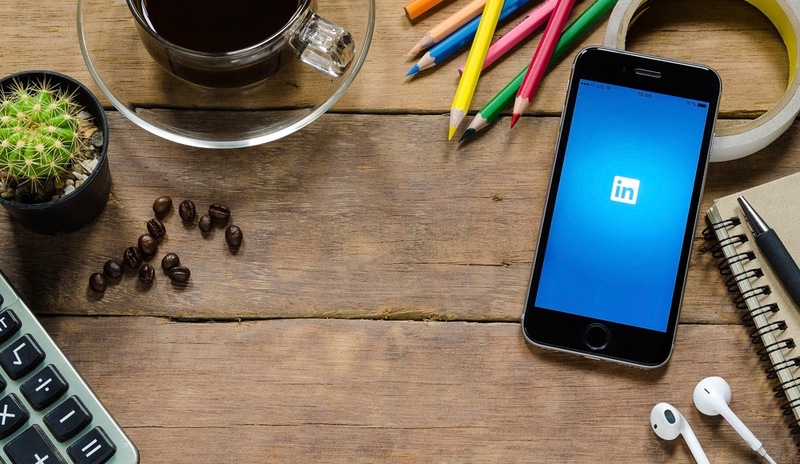 While Facebook and Twitter are great places to share updates about things that you love or find entertaining, LinkedIn is a place to share about your career. Many people overlook the status update function on LinkedIn, but it’s incredibly important nonetheless. If you’re a writer, sharing your best work as it’s published is a great way to show recruiters and potential bosses that you’re staying up to date, working on your craft, and focusing on pushing your career forward. Even if you’re not a writer, you should use your status updates to show that you’re keeping up with your industry. You should also take time to comment on other people’s statuses, too. You never whom they might be connected to. Your next boss might find you because of a comment you made! Try to brag (tastefully!) about your career successes and new work with at least one status update per week. Aim to make at 1-3 comments as well. Join the Conversation: Has LinkedIn Helped You Land a Job? On LinkedIn, there are “endorsements” and “recommendations.” Endorsements are easier to collect, since they were created as a way for LinkedIn to encourage activity on the site. These are important in helping recruiters fill lower- and mid-level positions, according to Time. Recommendations, on the other hand, are more difficult to get; you usually have to ask someone to write them for you, perhaps in return for a recommendation that you write for them. Perhaps this is why recommendations carry more weight with companies. In the eyes of recruiters, they act as formal references and could be the difference between getting the job and not. Ask for recommendations from a supervisor or boss, preferably. It’s customary to do this when leaving a position, but is also important if you’re sticking around. Ask a coworker if you don’t feel comfortable asking your boss. We live in global times, and demand for people who know a second language is on the rise. In fact, interpreter and translator jobs are among the 15 fastest-growing occupations in the United States, according to CNN Money. If you’re not a translator, learning a language is still valuable. Professionals who speak more than one language have an average household income that’s $10,000 higher than those who don’t, according to RosettaStone data. French, Spanish (in the United States especially), and Chinese are some of the most in-demand languages. So, if you want to learn a second language, start there. Luckily, you don’t need to be fluent in the language for it to be a valuable part of your LinkedIn profile. Simply showing that you have learned it could be enough to get you in the door for an interview. While you may be asked to brush up on it when you get the job, you’re still one step ahead of the competition during the recruiting process. Certifications show that you take your career seriously enough to seek out opportunities to learn more and become better at your job. In some cases, these certifications are also required, so recruiters will automatically know if you’re qualified by looking at your profile. Certifications are important to include, even if they aren’t related directly to your career. This section of your LinkedIn profile provides you with an easy way to show what you’re interested in without coming right out and saying it, which can be hard to do if it doesn’t fit within your “I’m a great employee” spiel. Recruiters like well-rounded candidates, and certifications outside of your career can help show that you fit that bill. Take advantage of your LinkedIn profile as a way to draw a clear picture of the kind of employee you would be. Don’t forget to fill in these important blank spaces. They can be easily looked, but they can make all the difference in the world when it comes to landing your next job. Jessica Thiefels has been writing for more than 10 years and has 5 years of experience in the marketing world. Follow her on Twitter: @Jlsander07. Jessica Thiefels has been writing for more than 10 years and has 5 years of experience in the marketing world. She is currently a lifestyle blogger and has been featured on Ms. Career Girl and LifeHack.org. Follow her on Twitter: @Jlsander07.